This is the most important accreditation to look out for. 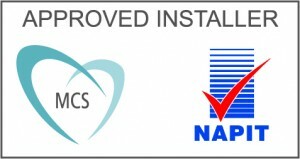 Itâ€™s an independent scheme that guarantees consistently high standards for microgeneration products and installers, following a strict code of practice that meets the guidelines set by the Office of Fair Trading Consumer Code Approval Scheme. Crucially, itâ€™s also linked to financial incentives like the feed-in tariff, meaning that if your installer isnâ€™t MCS-accredited, you wonâ€™t qualify for payments. 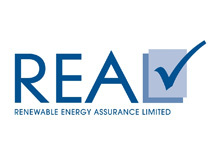 This accreditation is managed by the Renewable Energy Association, a not-for-profit trade association established in 2001 to represent British renewable energy producers and promote renewable energy in the UK. Weâ€™ve always acted in our customersâ€™ best interests and REAL listing recognises this. Itâ€™s your guarantee of exceptional customer service, and shows weâ€™ve agreed to abide by the high standards set out in the REAL Consumer Code 2010. 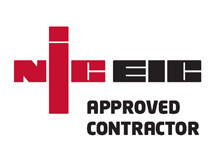 The NICEIC Approved Contractor scheme is an industry-leading standard that tells you to expect the highest level of skills and service. Itâ€™s approved by the UK Accreditation Service (UKAS) to EN 45011, meaning itâ€™s independently and fairly run. As an approved contractor weâ€™re inspected yearly. We design, install, inspect and test our electrical work in accordance with the UK standard, BS 7671, and issue safety certificates once the workâ€™s complete. Constructionline is a UK Government Certification Scheme, certifying that EcoHill has met pre-qualification requirements appropriate to public and private sector procurement. 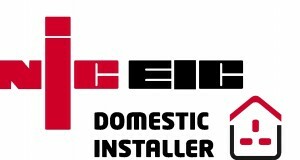 NICEIC’s Part P Domestic Installer Scheme registers installers to Full Scope or Defined Competence for domestic electrical installation work in accordance with Part P Building Regulations. The scheme covers design, installation, inspection and testing and certification of electrical work associated with dwellings, intended to operate at low or extra low voltage.